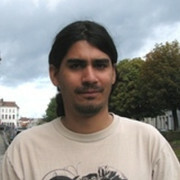 Benhur Ortiz-Jaramillo was born in Manizales, Colombia on August 16, 1986. He received his bachelor's degree in electronic engineering from the Universidad Nacional de Colombia, Manizales, in 2009. In 2012, he graduated from a Master's program in Industrial Automation in the same university. In 2018, he obtained his PhD degree in Engineering from Ghent University at the TELIN department in the IPI group, which is a member of imec imec. His main research interests encompass texture analysis, digital thermography, objective/subjective image/video quality assessment and their applications to engineering. Wilfried Philips page  Asli Kumcu page  What am I doing?